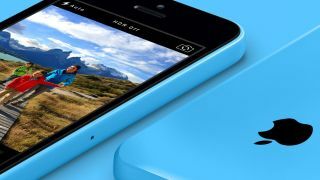 Has iPhone 5C got the blues? Update: Whether this means that Apple's PR team have been on the horn or that the paper has received new information from its "supply chain sources", it's worth noting that the WSJ has toned its story right down. However, the paper now quotes an Orange exec saying that the 5C "isn't selling as well as expected," blaming price and the appeal of the iPhone 4S for its slow sales. The iPhone 5C has only been on shelves for a few weeks but Apple is reportedly cutting orders for the colourful handset. According to The Wall Street Journal, Apple has told two of its assemblers – Pegatron and Hon Hai Precision (aka Foxconn) – that fourth quarter shipments of the 5C would be getting a cut. Pegatron has reportedly been told that iPhone 5C shipments will be cut 20% while Hon Hai orders will be sliced by a third. In the same report, however, two Hon Hai execs are quotes as saying that Apple is set to increase production of the iPhone 5S. As exact numbers are unknown, it's difficult to tell an awful lot from this. Though it doesn't sound like the 5C is doing phenomenally well, the 5S is clearly proving another hit for Cupertino. So all things considered, we can't see this being too damaging for Apple. And besides, we've got the iPad 5 and iPad mini 2 coming next week, and we suspect just a few people might be picking them up.